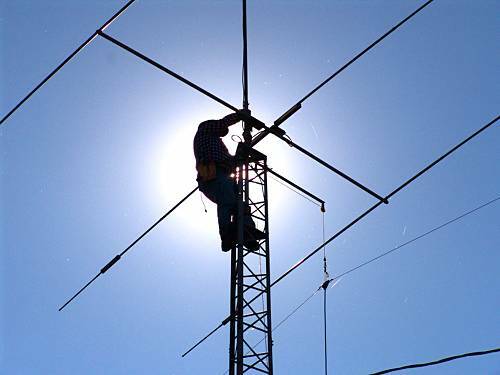 The Chatham-Kent Amateur Radio Club (VE3CRC) has a rich history of innovation and community service. We are a group of radio and electronics enthusiasts enjoying our hobby together in the Chatham-Kent area. Our premiere repeater, VE3KCR (147.120+ 100hz PL), is one of the most sophisticated systems in Ontario, linking together remote receive sites long before VoIP links became practical. Club activities cover many aspects of the hobby, and we offer something for everyone. The CKARC weekly_net is held every Wednesday evening at 19:30 (7:30pm) on the local VA3KCR repeater at 146.680- (146.080 input no PL tone). If you hear the machine, check in and say hi. See the forum section for club discussions and interesting topics. All members, hams, and radio aficionados are invited to sign up and participate - you don't have to be a member of the Chatham club. We want this forum to be a resource and meeting place for southern Ontario hams. Take some time to look around. We'll be adding more sections and photos, and completing the links that are prepared for content. All of the site is open to the public, including the forum. The forum allows members to post ideas for other members and amateurs worldwide. Follow the instructions to sign up, and start enjoying contributing to this feature. We could make this a useful Canadian web resource about amateur radio. We suggest using your callsign as user/screen name. This forum is open to all licenced amateurs, not just our club members (club members do enjoy additional content), so join us for the discussion. Most of the new activity will be in here, and it's member driven. Check the News page and our forum for information about upcoming events.